Psyllium aids good intestinal health. Psyllium softens the feces, allowing waste material to be eliminated from the intestinal tract, cleansing the colon naturally and effectively. The finely ground psyllium husks retain moisture while also adding bulk to waste material in the colon. 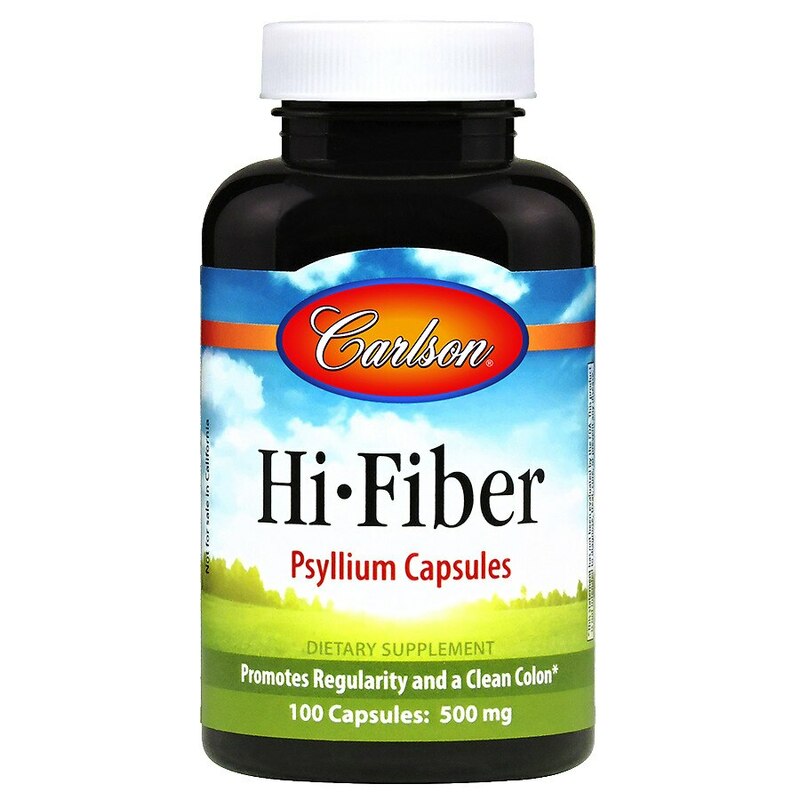 Psyllium's lubricating action gently promotes regularity without chemical stimulants. Fiber is recognized as an important element in a well-balanced diet. Psyllium is 100% psyllium seed husks (psyllium hydrophillic mucilloid), with no sweeteners, preservatives, artificial colors or flavors added. Take 6 capsules once daily with at least 8 oz. of liquid. Keep container tightly closed, and out of the reach of children. Store away from heat and moisture. © J.R. Carlson Laboratories, Inc.
Do not use when acute abdominal pain, nausea or vomiting are present. Consult a health professional before using this product if you are pregnant or nursing a baby. Do not take this product if you have difficulty swallowing. May cause an allergic reaction in those individuals sensitive to psyllium. Do not accept if clear band around bottle neck and cap is damaged or missing.